One week after the EU Referendum results and we’re all still slowly getting our heads around the idea of leaving the EU after 43 years of membership. The dust is still settling across the country, though social media has remained something of a political battleground since the results of the vote were announced on the morning of Friday 24th June, with varying trends emerging across the main platforms. Many have aired their thoughts and frustrations online, shared their political views and even launched petitions in a bid to make their voices heard. As a result, the social media landscape has become a place some would rather avoid. This was nothing, however, when compared to the torrent of reactionary posts once the result was announced. People took to Facebook and Twitter with mixed feelings of dismay and relief, some saying they feel ashamed to be British and others saying they’re over the moon at the result. 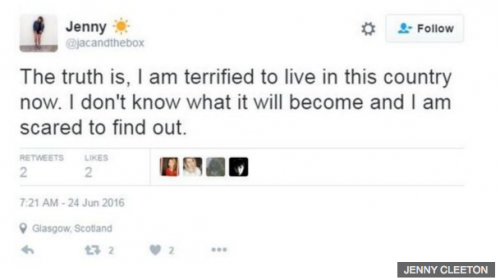 Following these reactions, fresh debates sprung to life among social media users with strongly worded arguments being put forward for both viewpoints. With social media being so easily accessible now, it has become the most popular way of instantly sharing, debating and digesting information. Petitions have been springing up all over Facebook and Twitter with their creators demanding varying outcomes. With the most signatures and media coverage is the petition calling for a second referendum, which, as it stands, has been signed by just over 4 million people so far, meaning parliament will have to consider it for debate. The power of social media has been clearly demonstrated here, with the cause being shared across the country and generating vast numbers of signatures. Other petitions include one calling to ensure MPs are factually accurate and accountable in public campaigns, following the allegation that the Leave campaign lied to the public about the spending of funds and immigration. Venturing into the slightly more unusual, two other petitions called for London to gain independence from the UK and join the EU, and for a rematch of the Battle of Hastings ‘because I was unhappy with the result’. Social media also became the arena for debate about the age split in voting following the results. 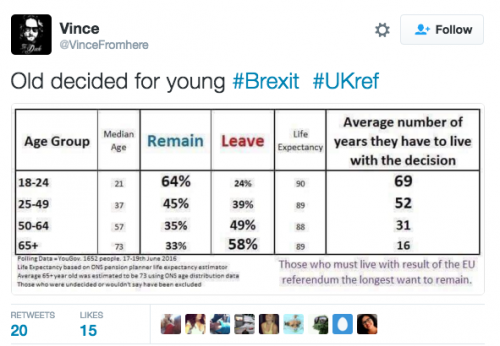 Many young voters expressed outrage when it was revealed that 58 per cent of voters aged over 65 voted to leave, while 64 per cent of voters aged 18-24 voted to remain. Charts, graphs and graphics were posted all over Facebook and Twitter showing the split, sparking a reaction from young people arguing that the older generation had voted selfishly and potentially disrupted the future of the younger generation. The hashtags #NotInMyName and #WhatHaveWeDone shot into Twitter’s top trends on Friday the 24th and were used over 20,000 times on that day alone. It seems that social media is now powerful enough to have large-scale effects on the way in which we engage with politics, with studies showing that social media can increase interest in politics among young people in particular. Everything from engagement levels, to public understanding and even voting patterns are subject to influence through this omnipresent digital social world. But could social media be playing another role in the background? There are some, including digital marketer Jerry Daykin, who wonder if social media channels are threatening to tear us apart as a society, rather than bringing us together. Not only do platforms like Facebook and Twitter allow us to share controversial opinions, there is also the possibility that they are helping to fuel those views. One of the key issues Daykin discusses is the fact that social media has a natural way of organising us into bubbles of like-minded individuals. People with certain viewpoints can easily seek each other out in a way that wouldn’t otherwise be possible, and this can sometimes fuel the formation of groups with controversial opinions and give them a public voice. The lack of face-face interaction also makes it easier for people to speak their minds without needing to consider the consequences, which encourages higher levels of animosity and expressions of hatred. This allows situations between individuals or entire groups of people to escalate, potentially creating new prejudices and reinforcing old ones. Whilst this is a worrying prospect, we can’t ignore the fact that freedom of speech and the wider availability of news and information remains a good thing. Daykin argues this breadth of opinion is essential to agitate and move us forwards, and we’re inclined to agree. Here at JAM we believe that social media, while needing to be treated with care, is an invaluable medium for sharing and receiving news and information. It can bring us together and create change for the better, even in difficult times such as the ones we find ourselves in today. If you have any questions about how you can use your social media accounts to improve your communication just get in touch at jaime@jampr.co.uk. 24 – Gamble or Genius? This week marks the launch of 24, a new national weekday newspaper aimed at readers in the north of England and south west Scotland. Labelled as the ‘North’s National’, 24, says that it has a “for us, by us approach”, and aims to provide a northern perspective on national stories, making a stand against London-centric newspapers. The newspaper’s distribution reaches a population of 1.15 million adults in areas across Preston to Lockerbie and Hexham to Workington, regions untouched by the Metro. Similar to Metro and the i, 24 takes a politically neutral stance and offers readers a digest of national stories, lifestyle features and celebrity gossip, alongside regionally-focussed columns and sport relevant to the area. The news of the launch came much to our surprise following the swift demise of The Trinity Mirror’s equally experimental title, the New Day – which closed only two months after its launch as a result of poor advertising sales and circulation. Despite the doomed omen of the New Day, 24’s Editor, Dave Helliwell is positive that the title will not face the same issue because it has a different business model. The 40p tabloid, published by the CN Group, will work closely with the Press Association to generate content for the publication, to keep costs down. 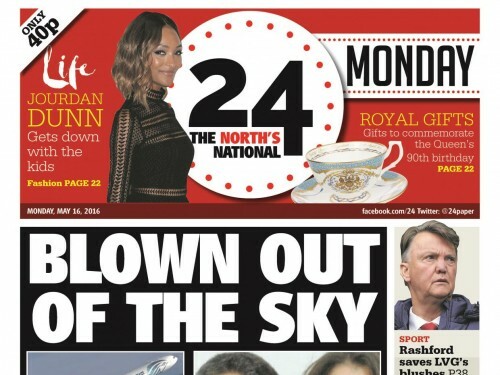 To avoid competing with titles such as Manchester Evening News, 24 is not available in some major cities in the north, including Manchester, much to JAM’s disappointment. Fortunately, content will soon be available online, however on a subscription basis. Nevertheless, we believe there is a market for northern focused news. We are as much part of the UK as the south, and our news and sport is also just as important. Despite the reported decline in print newspaper sales, the launch of 24 is certainly a brave move, but one we applaud as an agency based in the north. If you’re interested in expanding the presence of your business across the UK through print and online news outlets, contact our MD, Jaime Gee at Jaime@jampr.co.uk, to discuss what JAM can do for you. Yesterday thousands of PR and business professionals gathered in London for the world’s biggest conference on PR measurement. The AMEC International Summit was an interactive day of discussion on research, measurement and analytics in PR and considered issues businesses face when analysing their PR and marketing efforts. PR and social media are both extremely important for a brand’s growth, reputation, and revenue – and there are many ways to measure the success of your campaigns. Here, the Jammers discuss three key things to consider when analysing campaigns. A way to gauge whether your PR efforts are working is to consider your company’s goals. A one size fits all approach doesn’t always work when measuring a campaign’s progress as the picture of success differs for every brand and campaign. Most agencies report on PR value, reach, and OTS (opportunities to see), which can give a clear indication of ROI for their client. But there are also other metrics that can be used to highlight the campaign’s success or shortfalls. Coverage sentiment, web links, and brand penetration are other key metrics that PR agencies can use and there are a wealth of tools that can be used to compare and analyse a brand’s media presence. So whether you’re most bothered about the tone of your coverage, click-throughs to your company’s website, or outshining your industry competitors – your PR team should be able to give you a thorough analysis using metrics tailored to your company’s needs. Integrated PR and social media campaigns are becoming more common, as an increasing number of businesses realise the benefits of a joined-up approach. For those wanting to measure their social media campaigns, brands shouldn’t feel disheartened if their team doesn’t deliver a large following instantly. The number of followers your Facebook page has does not indicate a loyal fan base, or even positive sentiment for the brand. The way you can measure if your shared content is having a positive reception is through engagement levels. Smaller pages with higher engagement figures are more likely to benefit from click-throughs and generate sales. Any PR team worth hiring will get their teeth into your target market’s media, no matter how niche it is. Yes, 10 pieces of coverage arriving on your desk on Monday morning is great – but if the content isn’t going to be seen by the people you are trying to target, then what is the real benefit to the brand? One piece of coverage in a niche publication could be worth 15 pieces in irrelevant titles. Measuring coverage based on the number of target media hits, rather than just coverage hits in general will ensure that you’re getting coverage where it matters. Yes, everything is digital. Our social lives are digital, our banking is digital, our business is digital. But there is one traditional element of business relations that has hung on throughout all the new inventions and fancy tech replacements: the business card. With almost every piece of communication we make during the day being via digital means, it’s a breath of fresh air when something different comes along. Meeting somebody face to face and being handed a business card, along with a friendly handshake and a smile, is going to leave far more of an impression upon us than sending a cold, impersonal email, however convenient that may be. Real relationships are created through real conversation, after all. You never know what sorts of doors your next one could open. We Jammers know that networking opportunities can present themselves at any time and in any place. Trade shows, award ceremonies and events are some of the more obvious ones, but you could just as easily bump into a potential business lead in the pub, on the street or in an airport lounge. In this situation you don’t want to be trying to dictate your email address in a hurry or over the noise in a loud place – “sorry was that an M or an N?” – we’ve all been there. Having a small stack of business cards on hand is a professional and elegant solution for swapping contact details in these situations and means you’ll always be able to take advantage of any surprise opportunities. The giving and receiving of business cards creates golden opportunities to drum up new business, speak to influential people or even initiate new friendships, all of which may otherwise have passed you by. With this in mind, you should never forget the importance of a follow-up – rather than leaving the business cards you receive to gather dust on your desk, pick them up and get in touch. Keeping regular contact with your new business prospects, even if it’s just to say hi every once in a while, can make all the difference in the long run. In a world where almost everything we see is on a screen, it’s nice to have something tactile and nicely designed to keep on our desks until we need them. When we create a business card we pour into it the personality and quality of our business, thus creating a miniature extension of our brand that we can send out into the world. This little card has the power to tell people what we do, how we do it and how good we are at doing it, without having to send so much as a single sales email or buy any advertising space. 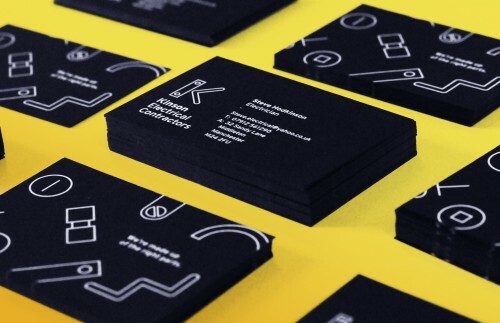 Our very own design experts at JAM Creative know better than anyone the value of a well designed business card when it comes to networking; give them a shout at hi@jamcreative.co.uk if you’re in need of some creative input for yours. The days of only using Facebook to connect with friends and family, stalk love interests or organise social events are long gone. As the social media platform seeks to fight for relevance and retain our ever-shorter attention spans, breaking news became the latest catnip feature when it launched in January 2014. For a brief moment, we wondered whether we would need a news app on our smart phones anymore, surely Facebook now did it all? But, as with all honeymoon periods, the butterflies in our bellies faded fast when news broke that the social media channel had allegedly been editing Trending Topics, intentionally supressing stories supporting conservative viewpoints. All this at a time when Republican candidate Donald Trump was coming closer to winning the presidential nomination and becoming possibly the most outspoken and conservative Republican president of modern times. The accusations of political bias from former employees led to US Senator John Thune sending a letter to Mark Zuckerberg, asking for clarification on the workings of Trending. That an elected official felt that the allegations being made were significant enough to warrant investigation by a US Senate Committee tells us a lot about how much attention political leaders are paying to the way we digest news and the perceived damage that biased editing of topics poses to parties when voters are heading to the polls. So what did Facebook do? Well, it launched an internal investigation that analysed 3,000 news curator decisions, interviewed its current and former employees and in a 12-page letter to Senator Thune – outlined the changes it would be making to its guidelines to ‘exclude the possibility of improper actions’. Being the world’s largest publishing platform brings with it a huge responsibility, even more so given that all of the content is user-generated. For this reason, as the job title would suggest, it’s Facebook’s job to curate the news published, not edit it. Had the internal investigation found any evidence of the latter, it may have caused political parties to withdraw from the platform that for many users may be their only source of news – surely a negative outcome for all concerned if knowledge is power. So don’t be surprised to see Boris and Dave paying close attention to social media in the coming weeks. In or out, Facebook may be the last place you consume information to inform your decision on 23 June.